So it was Limburg weekend just a fortnight ago. Those who follow the various Whisky groups on social media would know it was a wonderfully frenetic weekend of excess that reminds you of just how many insanely passionate people there are out there. Post Limburg it made sense to continue on to Berlin and continue in the earnest. Berlin itself if a beautiful city easy on the eye, and the bar to be at is called the Union Jack. The best kind of oak here – polished and sophisticated, having great depth without heavy oaky tannins or blocky woodiness. Rubbed cloves and crystalized orange peel. Thick and viscously oily but with great clarity and conciseness. Seriously great depth. Lashings of dried oregano. Golden syrup. Leather laces. Traces of soot and old wax. Fantastic nose but the palate was slightly disappointing – somewhat simple with the bright sharpness of ginger, tonic and white pepper corns. Crystalized fruit. Somewhat less depth here. Chewy bark. Jujubes and yellow hues. Kind of autumnal. Heavy sherry here, lots of cloves and nutmeg. Leather, cocoa powder, and that particular vegetal funk in some of these older whiskies. Soot, grease and lacquer. The palate had buckets of camphor and aniseed, and really woody nutmeg. Charcoal, black pepper, some dark dried berries getting quite drying with these tannins. Amazing. Blind I would say 1972 Clynelish. Lots of wax and clear oils. Honey, Baked yellow fruit and hot baked pastry. Lots of cream and glazing. Already a winner. The palate is brimming with these waxes and honey of all shades. Touch of soot, and some herbal bitters. Yeast, hay and follows with a growing dry side. Truthfully, somewhat disappointing after the 1972. Where the 1972 felt like a bourbon cask, this one has much louder sherry aspects that may have added a funky vegetal quality that wants to approach sulphur. You can still feel the wax but the mouldering cabbage and bark, and also a burnt quality gets in the way. Some berry jam. Palate is much better, the wax and honey are louder. Acid, lime peel, grappa and something Ribena-esque. Another one with big sherry on the burnt and charred end of the spectrum. Oak pabels, charcoal, burnt toast, blackberry jam. Rather simple. Palate is oily and jammy. Hot metal, hot sugar, aniseed, chinese ginger candy and other spices. Surprising given the age. Classic! Oily thick leather, dried rooty peat, smoking herb bush, creamy dense core, coastal coastal coastal. Salt nets, clean mud, distant BBQ smoke, charred caramel and wet wood. Great stuff. Great thickness. An oily dense whisky with a cereal and mashed turnip core. Heavy honey and tumeric powder. Porridge, pomades, and pollen. (that took effort). The palate shows old dried out waxes and loads of western frui esters. Sweet and stewed fruit notes. Wintergreen. A little dusty and some quinine or other medicinal bark. Big Market is a German bottler by the way. Seems they like their sherry. Heavy sherry influence that tends to suggest rubber and matches. Thick jams that must be halfway to rancid. Wet leather and a bit ‘stale’. Recovers with shoe polish, thick purples, too thick really, treacle and tar. A tablespoon of gin bitters, soy, camphor and chinese medicines, plus the musty cabinets these herbs usually come from. Rusty tins, lubricants. Off balance to me, if you are wild about whisky, this might be for you. Quite a clean and simple one. Light and lightly clean. Refined cooking oil. Cut grass, some bouquet garni, not really much going on. Palate does show some floral touches, light honey. White heat. Ginger soup. Not much happening. Jammy and thick, chocolate boxes, blackcurents, dense cereal core, barley sugar, cardboard. Palate has quite some hot and sweet spices, and simple jams. Somewhat rough even. Seems to want another decade maybe. Dumpy bottle. Wow very much alive. A clear cutting style with sharp unripe green fruit, battery acid, razor minerals. Lime peel, mineral oils. The sort of cold air that comes through charcoal filters. Petrichor even. Palate is zesty and bright. Light mineral oils again, wet granite, bit of smoke, clean clay and very cutting again. Very interesting! Several notches up from the Inverleven. Thick and full of aromatic oils. Quite viscous and big boned. Layered with leather damp wood, glass effect that worked well here, hung game, dried spearmint, tobacco, some aniseed. Lots happening. Palate is very much alive with shouting minerals, oilt and thick. Medicinal salves, old wood. Quite complex as you can feel a lot happening. 1978.. wow. Big and powerful stuff. Wet coals, moist and muddy. Opened charcoal bags, cured ham, old fired ovens, cold embers touches of cold sea air. Loads of brown dirty smoke, and earthy tar. Aspects of this reminds me of 1969. Also… Shellfish. Palate is absolutely huge. sweet peat, cutting and deeply mineral-ed. Dried lemons, mud, immense really. Mariana-like depth with so much going on it’s difficult to sit it through. Mentholated notes, ash, sea mud, rock salt, old nets, docks etc etc. Just great stuff. 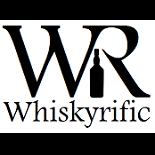 This entry was posted on May 3, 2018 by Whiskyrific in Brora, Dalmore, Fettercairn, Glen Grant, Glen Mhor, Glen Ord, Glencadam, Glentauchers, Inverleven, Macallan, Port Ellen, Tamdhu and tagged Berlin, Brora, Dalmore, Fettercairn, Germany, Glen Grant, Glen Mhor, Glen Ord, Glencadam, Glentauchers, Inverleven, Macallan, Port Ellen, Tamdhu.